With maternity leave, not everything is set in stone. Be it deciding on the leave date or altering their return date, expectant mothers should not feel under pressure. Some prefer to leave as much as eleven weeks before the due date; others will wait until the last minute. Some mothers will take the full 52 weeks; others half of that. When you add on potential leave for antenatal care and accrued holiday, every absence is different. This uncertainty can prove an issue when it comes to a replacement. With a maternity hire, they are contracted for a fixed-term period, so if a mother would like to return to her role earlier (than let’s say the 52 weeks), she may find she is unable to do so. On the flip side, if the company has decided to redistribute or suspend work, the employee may feel under pressure to return before she is ready. With a virtual assistant, these issues are alleviated. Fyxers, for example, only work the hours they are needed and will alter their work flow to suit. What’s more, if the returning employee wants to return on a part-time basis initially, a virtual executive PA can work in tandem with them to ease their transition back to full-time work. Finding a replacement can be an arduous task, particularly if the job is a specialised one. If making a temporary hire, an executive will need to draft up a specific advert, conduct interviews and agree contracts, before the extra training and management time even enters the equation. If spreading the work to existing team members, employees may be undertaking roles that are not their core competence, leading to hours of additional training sessions (on top of the increased workload). Using FYXER takes the weight of recruitment off a business’s shoulders. With our bespoke matching process, we will find the most appropriate Fyxer for the role, while our clients also have access to the whole team of Fyxers and their variety of handpicked and specialised skills. In addition, we undertake the training and managing ourselves. Using a dossier of your preferences, we will on-board your Fyxer so that they hit the ground running on Day 1. Meanwhile, as Fyxers are self-managing, you don’t need to waste unnecessary hours on oversight. In other words, virtual executive assistants are a ready-to-go package. Consistency is the holy grail of maternity cover: a smooth transition complemented by continuous high-quality output. Clients of ours, who have previously used temping agencies, have spoken of the inconsistency of replacements. Whether in terms of ability or drive, temps are fully aware of the finite nature of their role, which can adversely impact their commitment. On the other hand, it may be that a replacement will only commit to the role if they consider it an audition for a full-time position. With FYXER, you can guarantee commitment without any strings attached. All our Fyxers are full-time employees of ours. They are managed internally with regular performance reviews and are fully dedicated to our clients whether they work one or twenty hours per week. Meanwhile, they are not looking for a permanent role with the client, so you can rest assured they are focused on the job at hand. Maternity cover can be costly. If a company covers the role internally, the costs can come in the form of added pressure on workloads and lower efficiency. If the company looks externally, the temporary replacement will need to be given a contract of similar value with the potential for recruitment fees on top. With a virtual assistant, you only pay for the hours you need. For example, if the employee heading out on leave decides that some work can wait until their return, you do not end up paying for full-time cover for part-time support. In addition, there are no physical costs, such as a new computer, and less strain on other team members, making virtual assistants the most efficient form of maternity cover. Virtual assistants can also stand-in for the executive themselves. Being the founder of a start-up or the CEO of a fledgling business shouldn’t limit your options when it comes to maternity leave. You should be able to take as much statutory leave as right for you, without the pressure of work impacting the decision. On top of being highly experienced administrators, Fyxers are also executive assistants, meaning that they have experience managing teams and projects and can keep things ticking along smoothly whilst you are away, providing regular updates as agreed. Fyxers will work with an executive in the build-up to maternity leave, establishing what tasks must be done, what should be done and what could wait until the executive’s return. For example, Fyxers may take control of marketing activity, making sure social media output, blogs and client newsletters remain consistent throughout the leave period, but decide to hold off on new business drives. 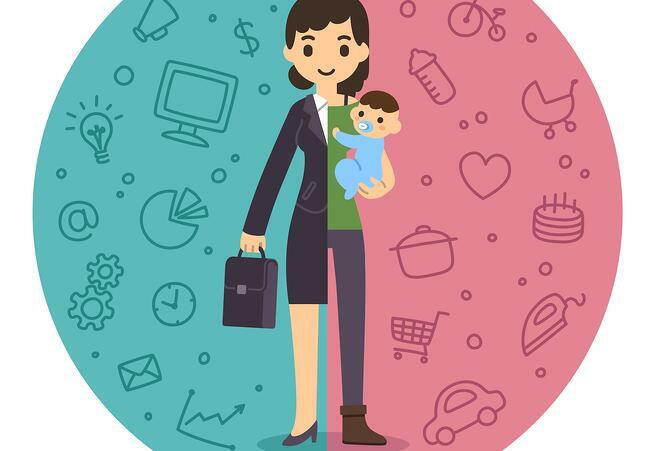 Fyxers then enable small business owners to come back from maternity leave at their own discretion, by providing as much of a helping hand as required. For example, a Fyxer could act as a gatekeeper, ensuring only the most important calls and emails get through while handling all other requests. In the aftermath, Fyxers will continue to take non-critical tasks off the executive’s plate, enabling them to spend less time at their computer and more time with their baby.